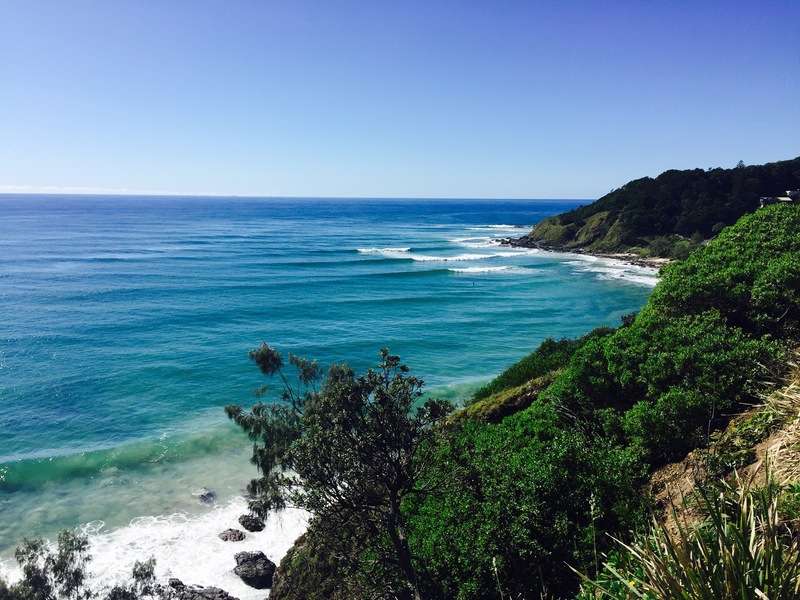 Byron Bay is one of the most well known destinations on Australia’s east coast and is a firm favourite with those that enjoy a surf, thanks to its reliable conditions. 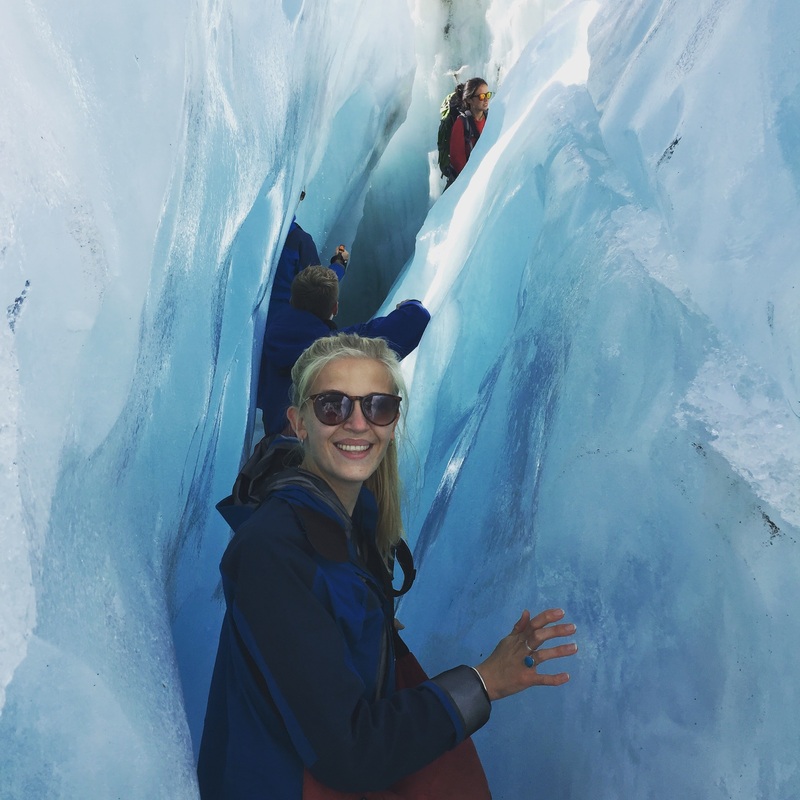 We decided to spend two full days here to see what all the fuss was about and I must say it made for an interesting experience. Firstly expect Byron Bay to be overpriced. Our campsite cost us almost twice the nightly amount of anywhere else we have stayed so far. Yes the campsite was right on the beach, but so has every other site we have stayed at. The facilities weren’t great either which left a rather stale ‘we’ve been ripped off’ taste in our mouths, which wasn’t a great start. Thankfully the beach at Byron is beautiful; albeit overcrowded. You could sit for hours watching surfers weave in and out of one another in the equally overpopulated waters, gasping as they very nearly trample each other while trying to get the best wave. The town itself is also extremely pretty with a beachy casual vibe and lots of individually run businesses that include some gorgeous boutiques. It is the norm to walk the streets in bare feet and no bra, straight from a day in the sun catching waves. Unfortunately in my opinion Byron has attracted a bit of a ‘try hard’ crowd who take all of this to the absolute extreme, seemingly desperate to seem ‘hippie’ and cool while simultaneously making sure everyone knows it. 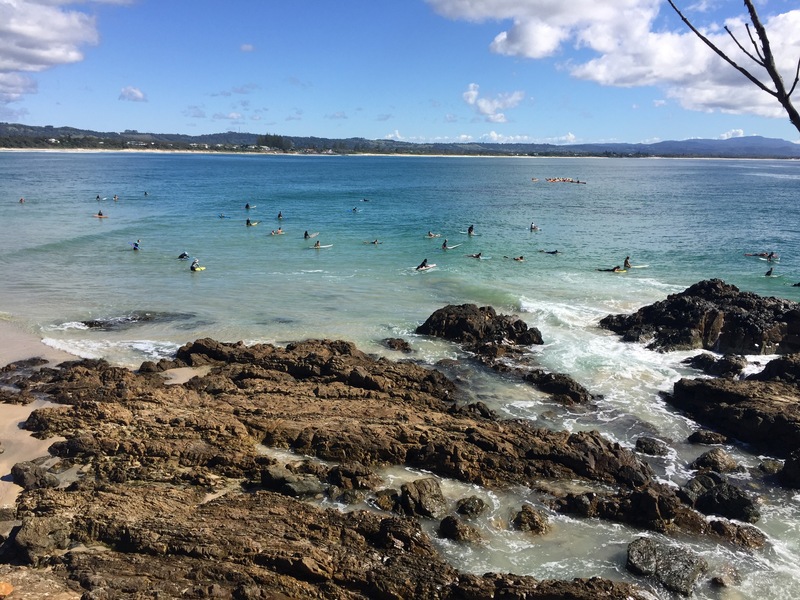 We spoke to a couple of people further up the coast who agreed that the people who have gravitated to Byron have ‘ruined’ it and I have to say that I almost agree. That being said we did have a lovely day on the beach and even did the lighthouse walk along the coast, where we saw around 50 dolphins frolicking in the water below. At certain times during the year apparently you can also see turtles and whales! 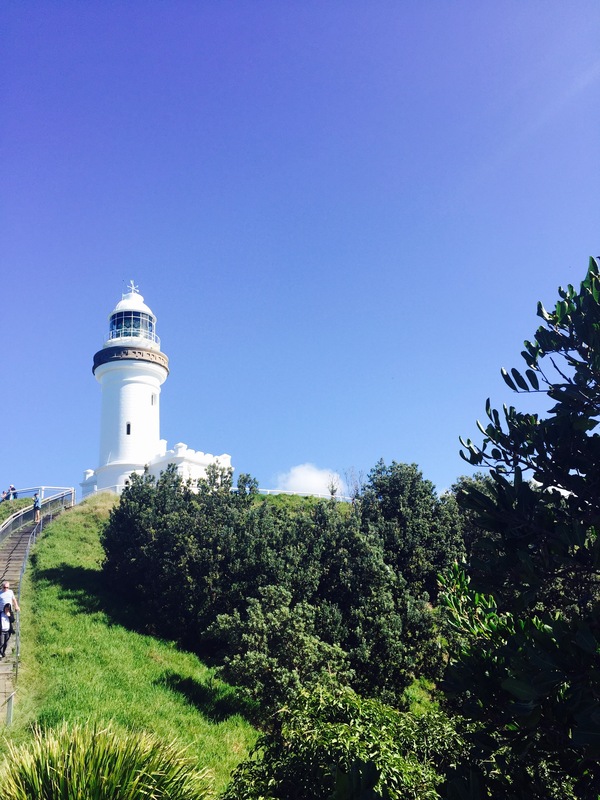 The lighthouse is attractive, has a small information centre about its history and holds guided tours to the top three times a day. Lots of people also return to these cliffs to watch the sunset, however due to the countless groups playing tinny music through their phone speakers we decided to give this a miss. 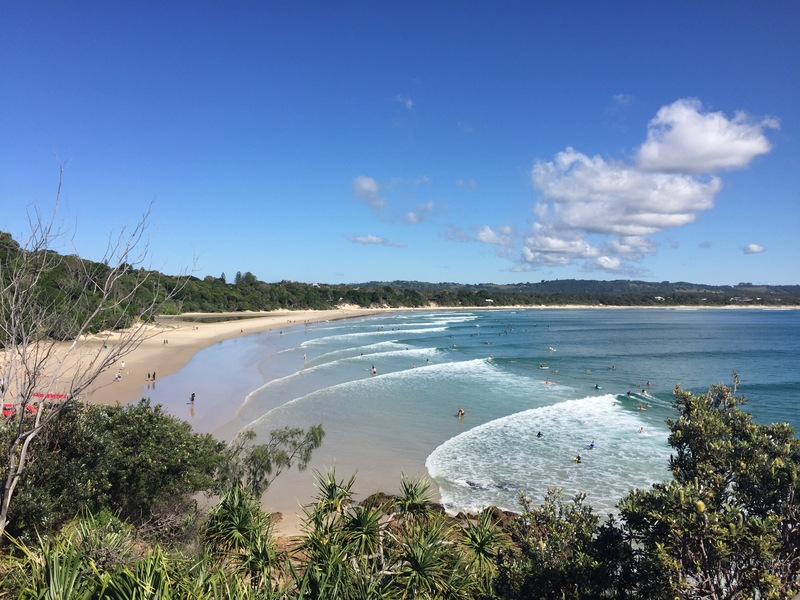 I am glad that we went to Byron Bay and managed to have a nice couple of days in the town because it is a beautiful place; if you can ignore the try hards. We could be biased, as both myself and Matt are undoubtedly mainstream and would never fit in to a place with such an alternative crowd – so maybe that’s why we couldn’t quite understand the draw? Either way Byron is undoubtedly worth a visit, we just weren’t left pining over it when we left.